Evelyn Dyal was born and raised in San Antonio, Texas. She served for many years as the financial secretary at First Baptist Church of Spring Branch in Houston, Texas. She was also Dr. James Riley’s secretary at Second Baptist Church of Houston, and she retired as the Development Department Office Manager at Houston Baptist University. 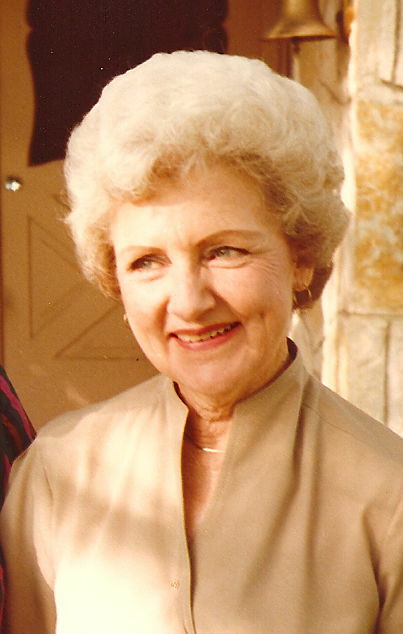 At the time of her death she was a member of First Baptist Church of New Braunfels, the Sonshine Singers, and a volunteer staff member at the McKenna Memorial Hospital Red Cross in New Braunfels.